Autumn is definitely here: the nights are drawing in such that I squeeze in some outdoor activity after coming home from work; the evenings are becoming cool enough to think about lighting a fire or turning on the heating; the leaves are yellowing and starting to drop; the apple harvest has started with three demi-johns of cider bubbling away. It makes me glad that I live somewhere the seasons are defined and changing. 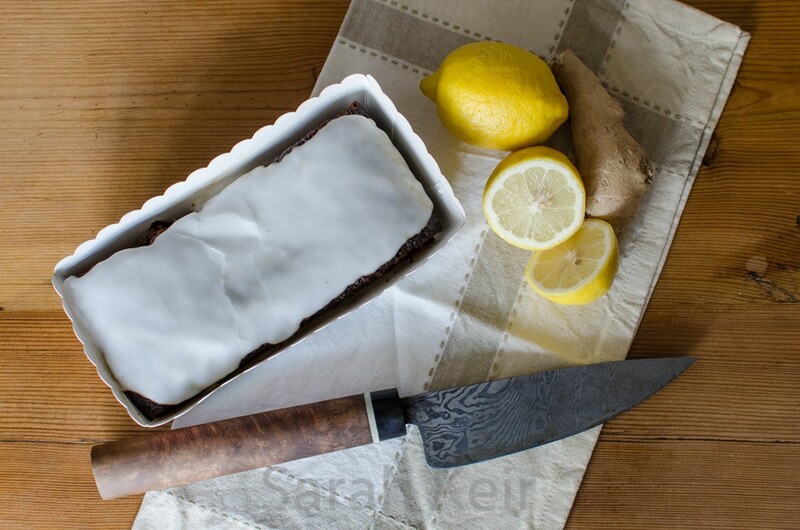 Sticky gingerbread is a cake that reminds me of autumn; the dark colour contrasting with the snow white icing and the spiciness that is surprising yet moreish. 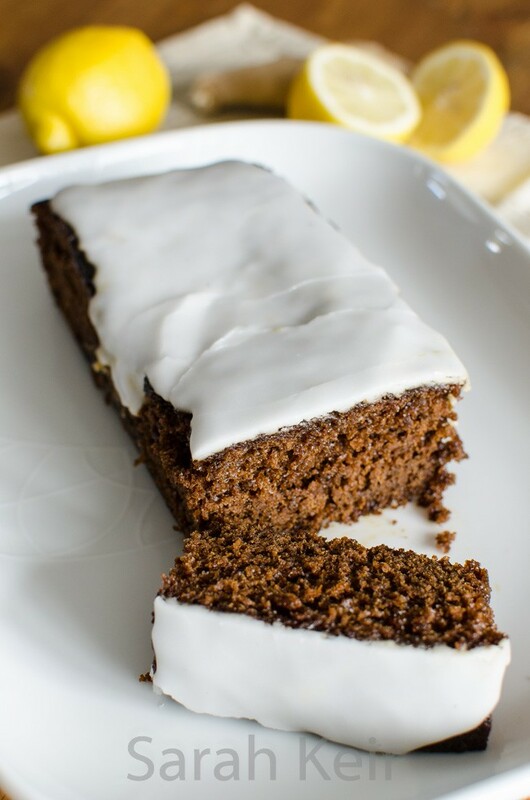 Go on, welcome in the autumn and make my sticky gingerbread! This recipe is an amalgamation of several recipes as I have tried countless times over the years and none where quite right, until this one. Line a roasting tin of about 30x20cm with baking parchment. Preheat the oven to 170°C/150°C fan. In a medium sized saucepan, melt the butter with the sugar, golden syrup and treacle until combined but do not boil. In a jug beat the eggs into the milk. In a large bowl sift the flour with the dry spices and in a small bowl dissolve the bicarbonate of soda in a couple of tablespoons of warm water. Pour the liquid ingredients (melted butter/sugar pan, milk/egg jug and dissolved bicarb) over the flour and beat until well mixed; it will make a very wet batter. I normally need to use a whisk to beat out the lumps of flour. Pour the batter into the prepared tin and place in the preheated oven; bake for 30-45 minutes until risen and a squewer comes out clean but the cake is still sticky and moist. Do NOT over bake. Allow to cool completely in the tin. Prepare the icing by sifting the icing sugar into a bowl and whisking in the lemon juice until a very thick icing forms. Pour this over the gingerbread and encourage it to spread out to cover the top with a palette knife. This cake keeps for up to a week in a sealed container.